Coconut’s Fish Café has opened a new location on the Southwest corner of Alma School and Ocotillo Roads in Chandler. The third fish café is located in the brand new Shops at Ocotillo. 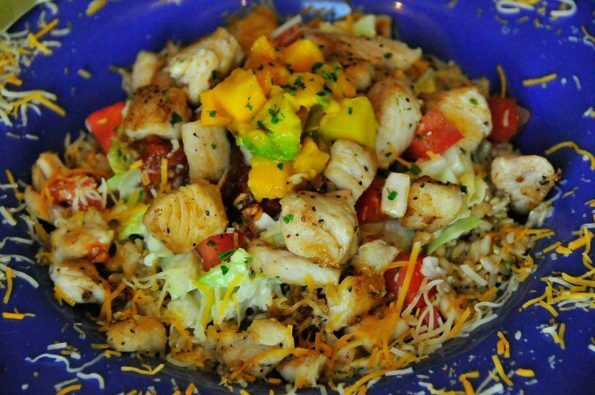 Coconut’s Chandler location features an expansive patio, bright and airy interior and the same fresh and healthy menu featuring Mahi Mahi and Ono fish tacos, grilled fish burgers, the infamous “Taco Mountain,” seafood pasta and more. Coconut’s Chandler will be open seven days per week from 11:00 a.m.-9:00 p.m.
Kuhljuergen first experienced the fish fish taco bliss at Coconut’s Fish Café’s Hawaii location while vacationing in Maui in 2010. He knew after several visits that no restaurant like Coconut’s existed in the Phoenix Metro area and he began his quest to bring the restaurant to the mainland. Kuhljuergen will open another location of Coconuts’ Fish Café in the Phoenix Metropolitan area in the next three years. Founded in Maui, Hawaii in 2009 by Mike Philllips, Coconut’s Fish Café opened in April 2013 by Arizona Owner Kim Kuhljuergen. Coconut’s Fish Café features a dining room with unique, wooden surfboard tables and benches and a family-orientated atmosphere. Menu prices range from $11-$15 for healthy and delicious items like Mahi Mahi and Ono tacos, fish chowder, fish burgers and much more. Coconut’s Fish Café has two existing locations in Scottsdale including one at Frank Lloyd Wright and Scottsdale Road as well as Scottsdale Road and Shea Boulevard. A third location is now open at Alma School Road and Ocotillo Road in Chandler. Visit www.coconutsfishcafe.com or call 480-275-6690 for more information.